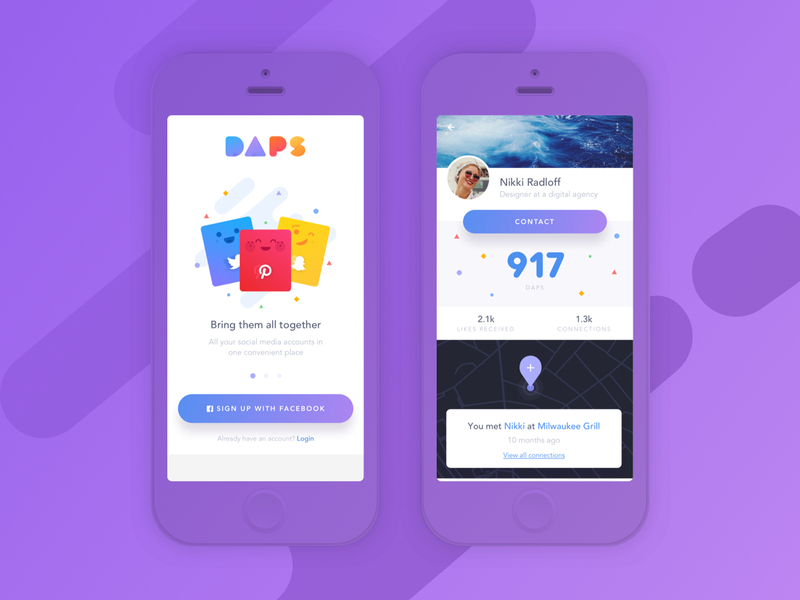 Daps is a social media management app that helps users who make countless connections on a daily basis better remember them by marking the time and location of that connection. The client came to us with an idea and a broken app. 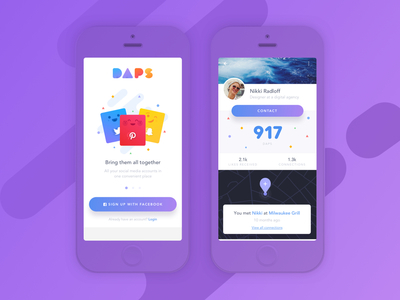 We were challenged to create an experience for Daps that would raise it above the sea of social apps already on the market by giving it a fresh, bubbly new feel and an unique way to connect. We started from the ground up with this project by scraping the original brand name and app build. We crafted a playful and vibrant brand that included custom illustrations to use throughout the app and marketing materials. We followed with an extensive application design process and development phase.